Dawud Abdul-Wakil has always loved to cook. When he was little, his friends would be playing outside, but he wanted to be in the kitchen with grandma. At 19, he enrolled in a culinary program, but he was young, and couldn’t keep his focus. Since then he has worked in a wide variety of jobs, many within the food industry. But over the years there were troubles and mistakes made. 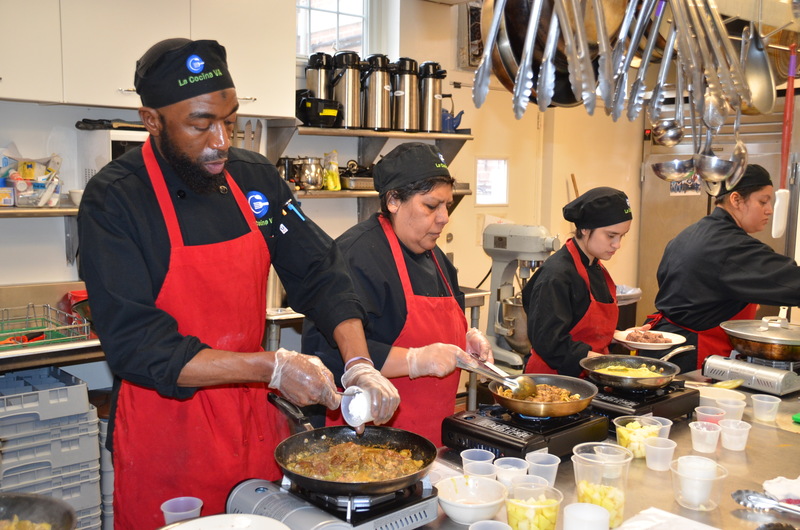 Now Dawud is part of a team, he and his classmates are preparing meals for those in shelters and low-income housing, a part of LCVA’s food assistance program that distributes 12,000 meals annually. 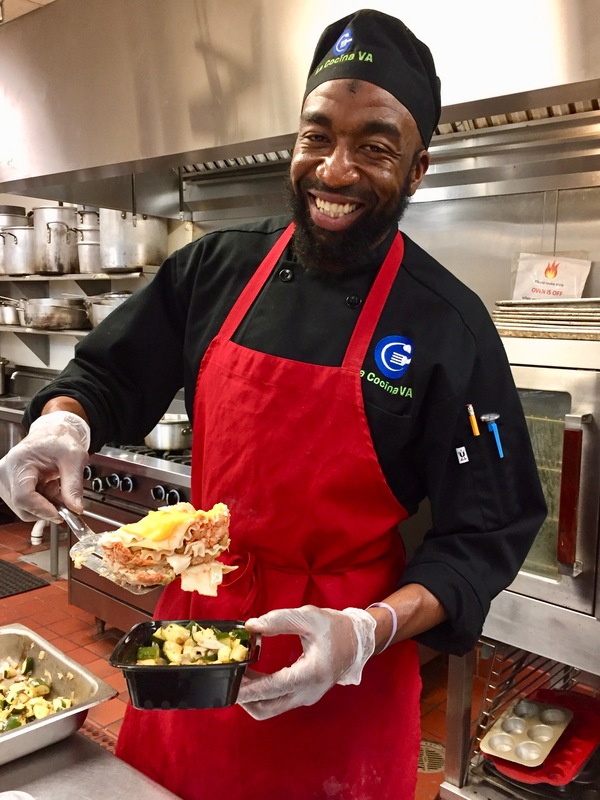 They are also creating healthy food for inhabitants of the Residential Program Center in Arlington, VA which is the homeless shelter where Dawud currently lives. “It feels so good to be able to do this, to help those who really need it.” There are people with a lot of problems, who have lost so much, and a good meal at the end of the day means a lot to them.